therefore, errors in the temperature and the flow rate are amplified when determining Q because of the multiplication between temperature and flow rate. For this reason, accuracies from 2% to 5% when measuring the thermal energy transfer are considered good and almost good respectively. The instrument that should ideally be used for this type of measurement is vulgarly called a calorimeter or heat meter. 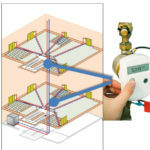 It is the ideal device because it has three probes that measure the two temperatures and the instant flow rate. Its processor reads the signals from the three probes and combines them to retrieve thermal power and thermal energy in a desired time range (for instance, the current winter season or the previous ones independently). Nevertheless, this device cannot be used in buildings where the centralized heating hydraulic distribution circuit is of vertical type. These circuits are characterized by a number of pairs of warm (outgoing) and colder (returning) pipes along the verticality of the for each radiator on the same floor. 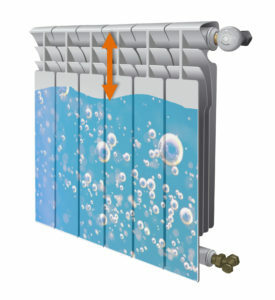 In other words, every radiator on the same floor, sometimes just two of them, is connected to a distinct pair of vertical pipes. This type of fitting was used up to the ’70s and ’80s in residential buildings, in some countries even later, and it operates on every single radiator. 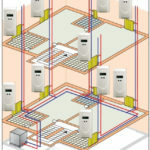 It is not easy to transform the heating system from a centralized one to a functionally “autonomous” one. The two basic functions necessary for functional autonomy are thermostatic or electronic valves for each radiator, to set a desired indoor temperature independent of the flats on other floors, and a measurement device for each radiator, to allocate the heating expenses on the basis of the real thermal energy consumption in each flat. the sensor, the simplest type of which is mechanic (similar to water meter), has to be changed every 6/7 years, making it necessary to replace all the heat meters with the same frequency. 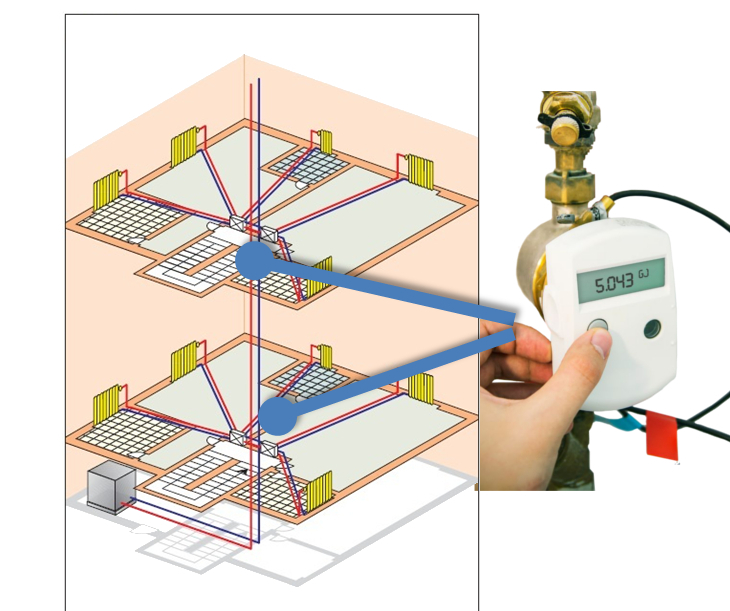 This inability to use heat meters in a vertical central heating system confirms the so-called heat cost allocators as, essentially, the only technology for measuring heat usage in these cases for more than a century. In fact, in 1908 a company in northern Europe invented the first heat cost allocator, using an ampoule with a graduated scale and filled with colored water. 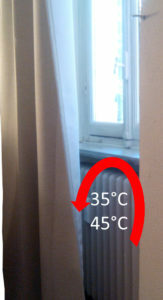 The water evaporated more or less rapidly as a function of the temperature of the radiator on which the allocator was applied; at the end of the winter season, a company employee manually noted the level of the liquid in each allocator in the building to make the proper calculations and determine how to allocate the heating costs for each flat. Obviously every 3/5 years, the allocator was replaced because the ampoule became empty. The physical principle has not changed since then, what has changed most is the means by which the principle is realized. Today heat cost allocators are electronic devices with two temperature sensors, a battery, electronics and a small LCD display. It is correct, at first, to argue in favor of this technology that should be considered glorious: more than a century of undisputed existence and about 150 million allocators in existence and running right now. It has allowed energy saving in degraded environments, acting both on the heating system structural and functional revamping and in inducing users’ behavioral change, by letting residents accept that there is a virtuous attitude that can save them money and pollute less, without sacrificing thermal comfort; indeed, in some cases, increasing it. That said, some questions are required: how reliable is the allocation of costs made using the allocators? 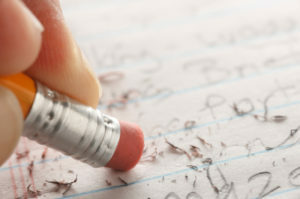 After more than a century, do better technological alternatives exist or could they exist? As already mentioned, the heat cost allocator does not directly measure the three fundamental physical quantities involved in the transfer of thermal energy. It measures indirect physical quantities, such as the surface temperature of the radiator at a specific point and the temperature of the surrounding air. In other words, the allocator measures the effects induced by the thermal transfer, not the thermal transfer itself. To calculate the allocation, these measures are then combined with the parameters that are supposed to represent the thermal characteristics of the radiator on which each allocator is installed. This indirect measurement, applied to real cases, which differ greatly from the ideal conditions used for the calibration of these devices, is a source of many problems that could nullify desired accuracy and reliability of the allocator. The following table summarizes some of them. 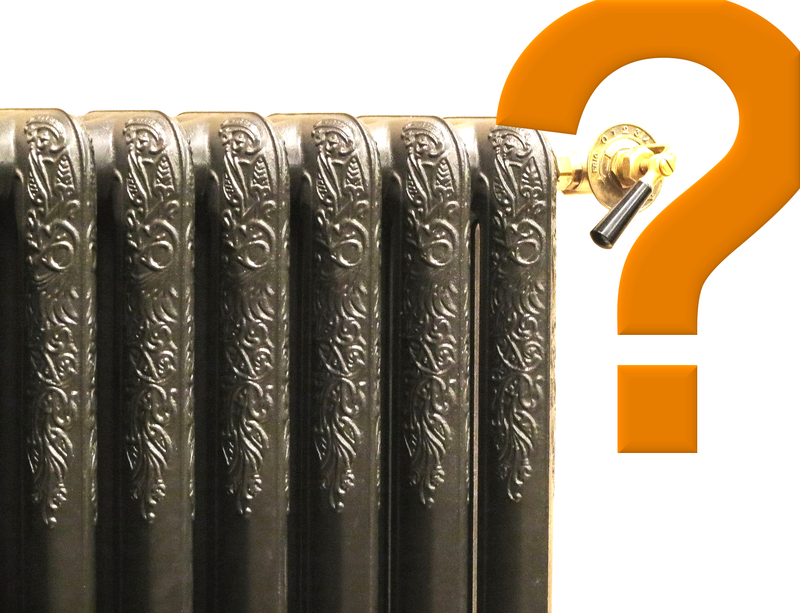 The biggest heat cost allocator brands, and only these, have an extensive database of many types of radiators. However, there are many ancient radiators (over 50 years old) still in use, the producers of which have not had to declare the nominal power of the radiators. In these cases, the allocator configuration is often done using rough tables that do not guarantee a perfect instrument calibration. In any case, even when the nominal power of the radiator, the basis of the allocator calibration, is known, it changes over time, see the following three cases. During each winter season, air accumulates in the inner-upper part of the radiator, very close to, the point where the allocator is mounted. The thermal properties of the radiator change, but the allocator cannot know if this happens or the level of the change. Since often the radiators are very old or even ancient, they might not have a vent valve. The heating systems to be converted are often very old, older than 30/40 years; sometimes even radiators more than 80 years old are still being used. In these cases, it is extremely probable that the inner walls of the radiator have a consistent layer of limescale and tens of centimeters of sand/slime have been deposited at the bottom. 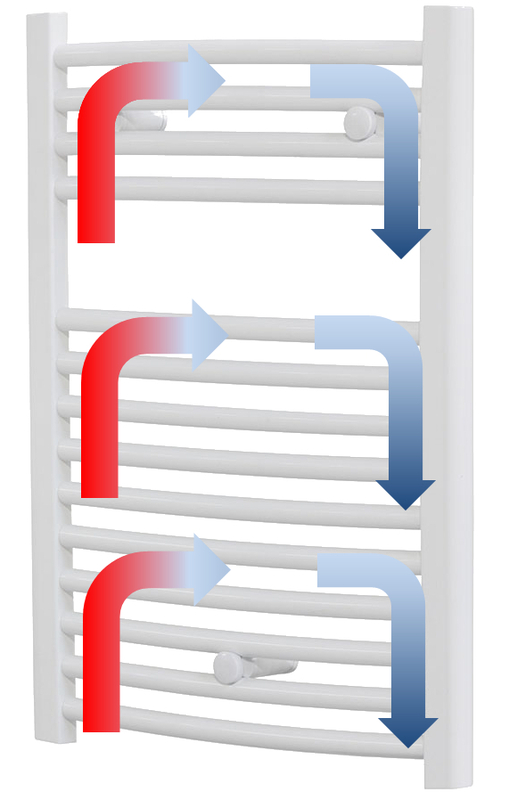 The thermal characteristics of a radiator change. The presence of curtains in front of the radiator, or radiator covers or the positioning of the radiator in a very deep niche with a pronounced overlying shelf create a very warm air microclimate surrounding the radiator. The mathematical model of the allocator cannot know if its external temperature sensor is measuring the air temperature of the room or the warm microclimate induced by such a context. 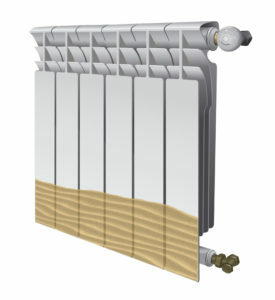 The allocators must be mounted on a specific position of the surface of the radiator: in the exact middle of its horizontal side and, depending on the case, either 1/3 or 1/4 from its upper side. A 5mm-10mm misplacement gives detectable problems. 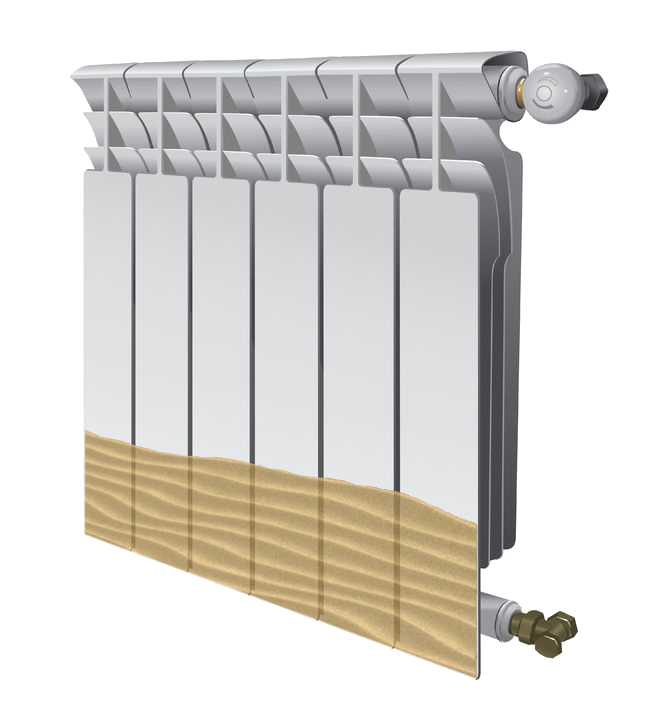 The installer often commits errors due to the fact that many radiators have rounded edges, so that it is not easy to align the reference meter properly. Besides, for radiators with an odd number of columns and even number of gaps in which to locate the allocator, it will obviously be installed away from the middle horizontal point of the radiator, with systematic errors ranging from 30mm to 80mm. Heat cost allocators are mainly designed to be used on radiators in which the water flows vertically; the errors made by applying them to radiators in which the water flows horizontally are not known. 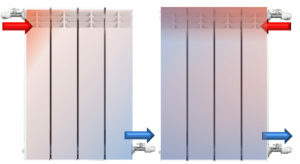 An important study carried out by the Polytechnic of Milan (https://www.dropbox.com/s/a85tfnxrg7cayha/Marchesi.pdf?dl=0) has shown that the thermal characteristics of a radiator change profoundly depending on the mutual positioning of the inlet and outlet pipe positioning: top-left / bottom-right, top-right / bottom-left, bottom-left / bottom-left, etc. The heat cost allocator typically does not account for these differences. Even in the best case scenario, it is unthinkable that statistically there will be no errors made by the installers who need to configure some parameters of each allocator manually. 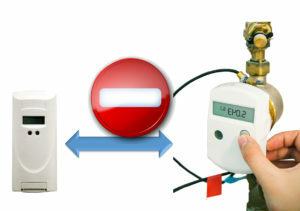 These errors are rarely discovered later, because, once the installer has completed his work, there is no other macroscopic evidence that could reveal an incorrect configuration, unless the installation company carries out a back-office audit and the error is in determining the calibration parameters and not detecting the size and type of radiator. If the error is not detected right away there is a very poor chance it will be noted at all during the life of the device. This is perhaps the most disturbing aspect of heat cost allocators: they have no metrological traceability or it is very difficult to realize a direct comparison. Metrology, the scientific discipline of measurement, is based, both as an intrinsic principle as well as because of normative directives, on the concept of comparing measurements from a measuring device with others more accurate and homogeneous, possibly of different types, to determine if the instrument is working properly and to detect the level of accuracy. The allocators have no traceability because, once they have been installed in a real context, it is not possible to install another device to determine the quality of their allocation. These considerations are just additional to the fact that a large part of the allocators’ low accuracy is inherently due to the type of measurement that is carried out, which refers to indirect physical quantities (the surface temperature of the radiator and the air that surrounds it) rather than to those directly involved in the thermal exchange. The promise of an error close to 5% is generally certified by the heat cost allocator manufacturers with tests on a single allocator/radiator, carried on in ideal working conditions in a so-called climatic chamber. 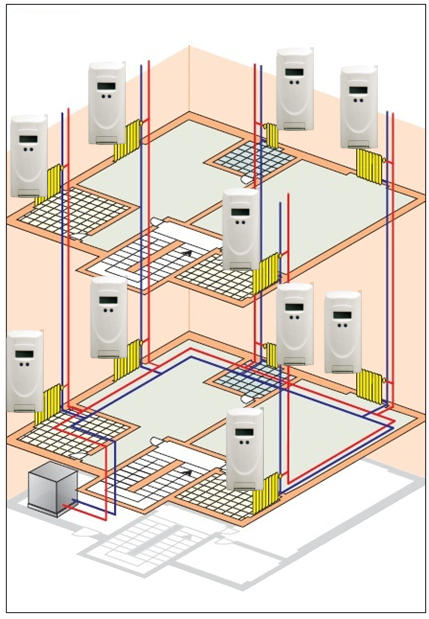 A very different performance may be achieved once a complete system is installed in a real building. 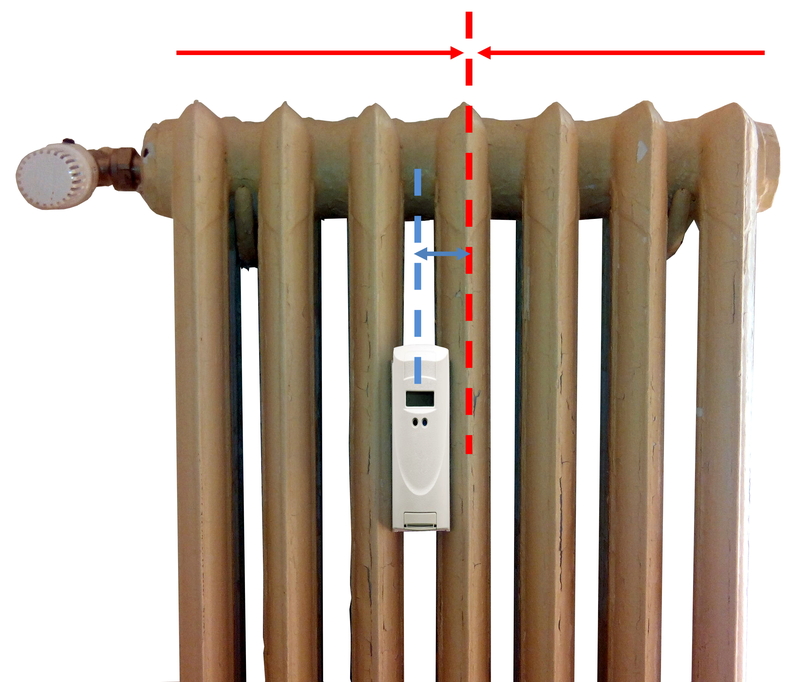 A very interesting rigorous experiment has been done by the University of Cassino, installing heat allocators in a building in which there were also mounted reference heat meters for each radiator. 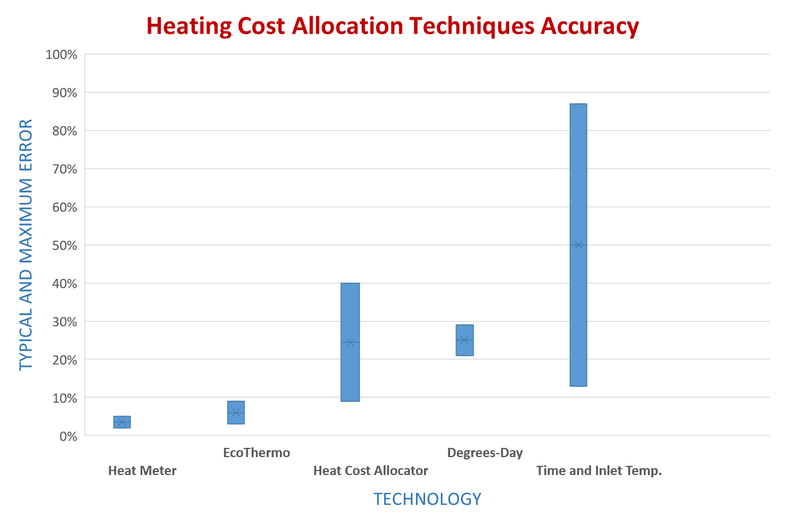 This research (link) found the typical errors of heat cost allocators to be around 9%, with 40% as the maximum. 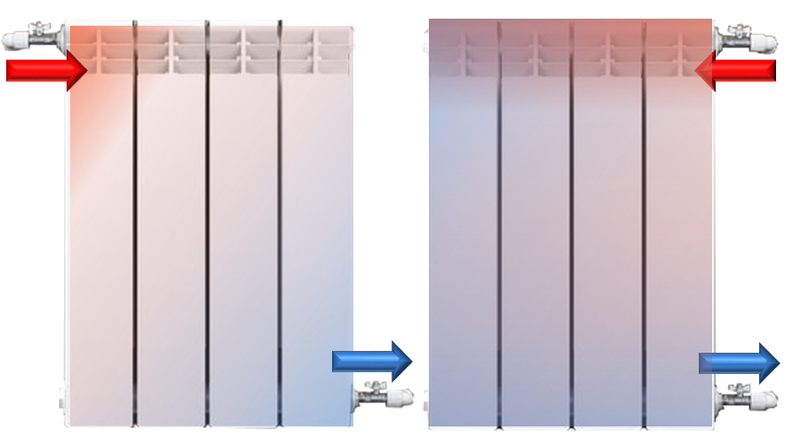 EcoThermo solves all these problems in advance because, while not having to install a complete heat meter and flow sensor on each radiator, its measurements rely on the three fundamental physical quantities: the inlet and outlet temperatures and the water flow through each radiator. Furthermore, the calibration of EcoThermo, which, in the jargon of engineering of automatic controls, is called mathematical identification, is fully automatic and excludes the possibility of errors, which would rarely be detected, by the installer. The following graph illustrates qualitatively the accuracy of positioning of the four techniques mentioned in this article. The represented levels of error come from the trial conducted by the University of Cassino for heat cost allocators, techniques based on or derived by degree-days (it should be remembered that, in old buildings, the quality results could be much worse because of the phenomena listed above); those declared by manufacturers with respect to heat meters; the experiments conducted on the thermo-fluid-dynamic mock-up by the Polytechnic of Turin and INRIM for EcoThermo (link). Finally, it should be highlighted that the technique based on heat cost allocators does not just have significant quality limits, it also has strong application limits which prevent their adoption in many cases. 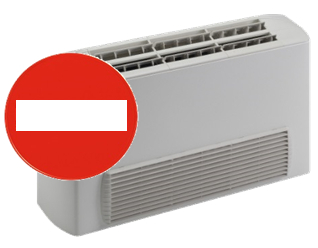 Heat cost allocators cannot be installed in buildings where even a small number of radiators are fan coil units. Typically, fan coil units are located in offices (often on the first floor) or shops (ground floor). It should be noted that, although most of the building’s radiating bodies are radiators, the allocation system cannot be installed in the entire building because it is not possible to separate the heating costs of radiators from the fan coil units. 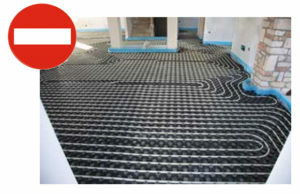 Old floor heating systems, built until the ’60s, are some of the most expensive heating systems and have problems with comfort, due to the high temperatures necessary to heat the premises. 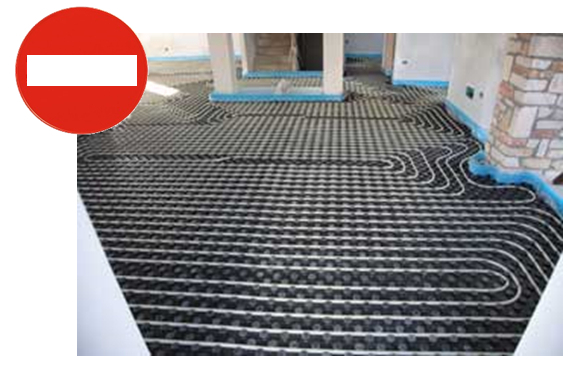 Unfortunately, heat cost allocators are not compatible with these heating systems. It happens, particularly after a flat has been refurbished, that the installer finds stylish and very expensive radiators, with a flat surface. 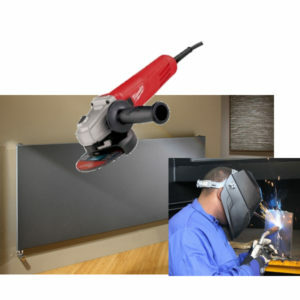 In this cases, the only way to install the allocator is to grind away the paint, weld on a radiator a brass screw and screw on the allocator. 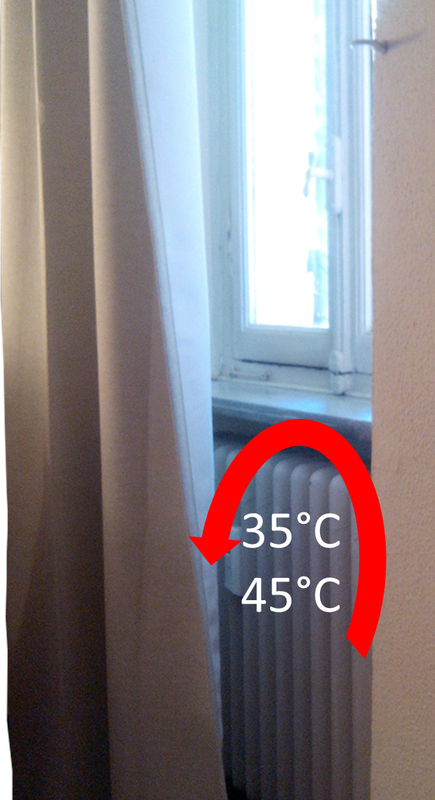 Obviously, the apartment owners do not permit this workaround solution and so it is not possible to know how to allocate the heating costs for the entire building. EcoThermo is compatible with all these types of radiators.